OMG OMG OMG!!!!!!!!!!!!! 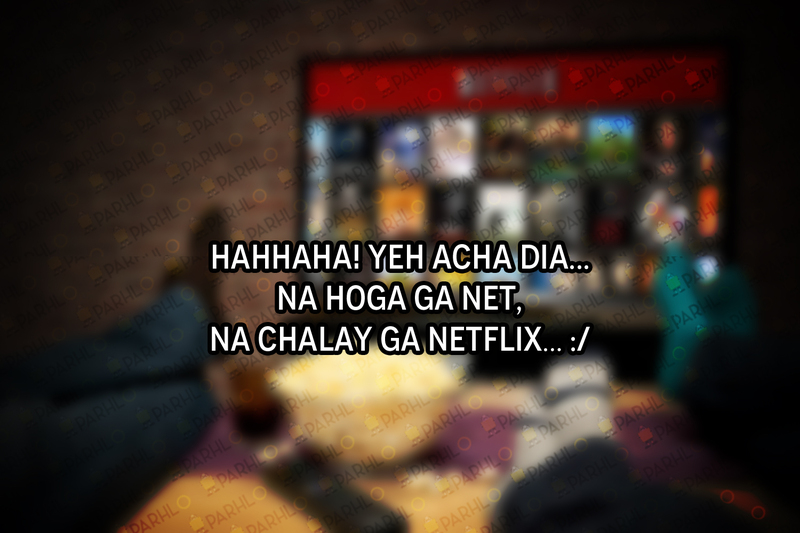 Netflix has been launched in PAKISTAN!! OMG!! I am going crazy!! OMG!! I can’t believe this!! WOW WOW WOW! Now I will subscribe and spend 800 rupees on something I don’t need AT ALL!! I am so cool, no?! You must have heard this at-least 1000 times so far, as if this is what they have been waiting for their entire life!! If not, you must have seen many Pakistanis on social media jumping with excitement as if someone was exonerated from death row. What baffles my mind? Well, since when Pakistanis became so dependent upon Netflix, YouTube or any other legit channel for that matter to watch a show! I don’t remember last when I last paid for something I watched… ‘Game of Thrones’, House of Cards, Suits, Madmen – we Torrent them all, ALWAYS! Torrent nahi chala tou Projectfreetv zindabad! – Sab jugaar laga gi, par paisay aaj tak nahi bharay Boss! No, seriously! Haven’t we all watched ‘The House of Cards?’ or ‘Orange is the New Black’ or ‘Fall’ already? – Not just we have watched them, we have been discussing them for quite some time now! 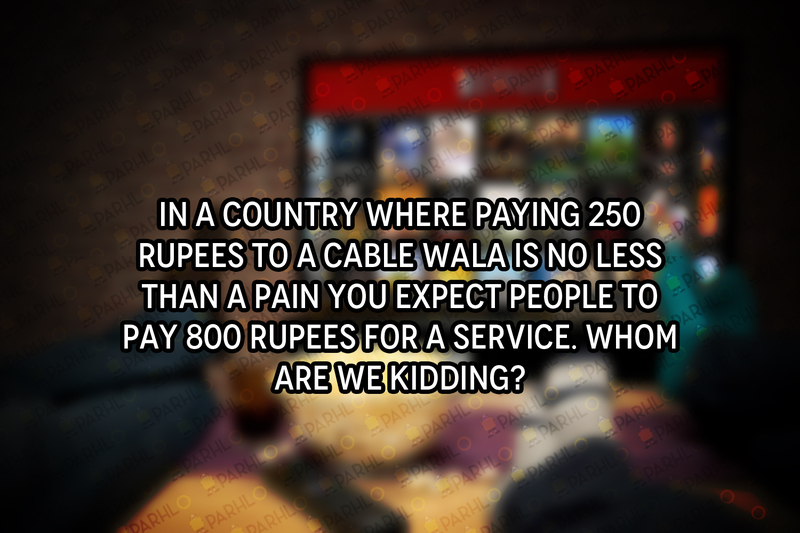 In a country where paying 250 rupees to a cable wala is no less than a pain you expect people to pay 800 rupees for a service. Whom are we kidding? But since it’s free for one month… The entire Pakistan will subscribe it! Toubah toubah – Muftah chor dein hum… Not possible! 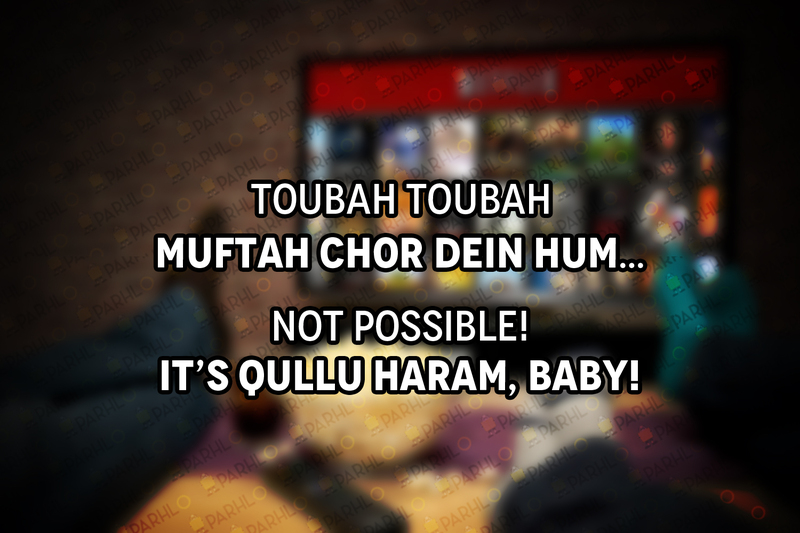 It’s Qullu Haram, Baby! Mufta chorna hamaray mulk mai gunnah e kabeerah hai! There are two types of Pakistanis… 1. Those who really don’t give a shi*t and live for themselves. 2. Those who not only love sh*t, but also promote it and at times rub it in their own face just to get accepted in the society. The ‘I am the coolest in my group’ epidemic has taken over our society. Just like other popular unconventional set of beliefs such as feminism, the definition of ‘cool’ is also very absurd. Just to show off to their friends, they subscribe to premium packages and flaunt about them. America se ziada American bharay huay hain yahan! 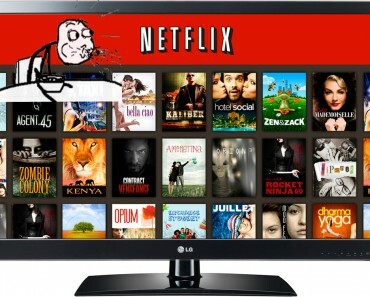 Waisay, it might not die out… since Netflix is internet based service! This puts a lot of question marks on the future of Netflix in Pakistan. Half of the year our nation complains about poor internet services in Pakistan. Every joke remains incomplete without trolling PTCL. Imagine subscribing to the premium Netflix package and waiting the whole month to get a single episode stream properly! LOL! 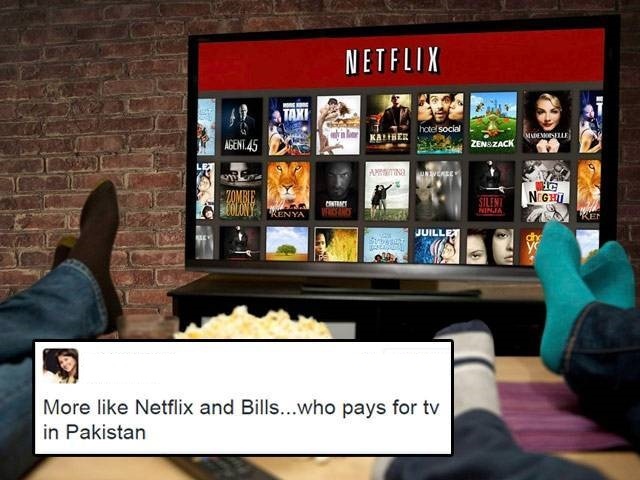 So, is Netflix going to actually survive in Pakistan? What do you think?